Howard Cohen sits in his bookstore, Howard’s Books, which is set to close at the end of next month. The bookstore has been an Evanston institution for 35 years. Kellogg graduate student Smit Naik entered independent bookstore Howard’s Books on Tuesday afternoon with a wide grin. 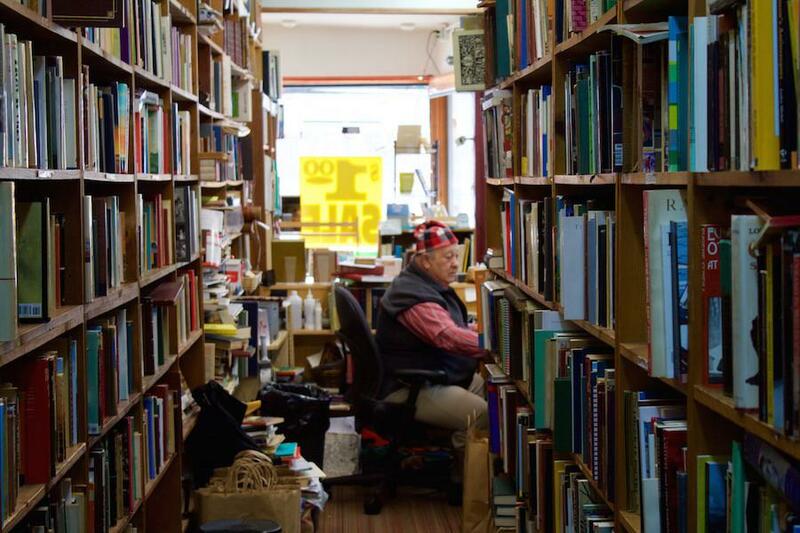 He perused the wooden shelves striped with multicolored spines, selecting a couple of books and striking up a conversation with the owner, Howard Cohen. Naik said he was taken with the wide variety Howard’s Books had to offer. The sale is the result of the impending closure of Howard’s Books, one of the city’s few independent bookstores. The 35-year-old shop will shut its doors by the end of February. Cohen, who is also the founder of the store, said he decided “it makes economic sense” to close the store. The bookstore, 2000 Maple St., is currently reducing the price of all $5 books to $1 and offering discounts of 50 percent on all other books. When asked why he thinks it makes sense to close, Cohen shrugged and brought up his biggest competitors, namely chain booksellers such as Barnes & Noble. Howard’s Books, formerly named Booksellers Row, once had many stores dotted around the Chicago area. However, as interest dwindled in certain areas, Cohen said he was forced to downsize and move the last remaining store to its current location in Evanston. Cohen reflected on the appeal of owning an independent book store. “Bookstores, for years before the (personal computer), were one of the fantasy businesses people wanted,” said Cohen. Cohen said he plans to sell his sizable stock of remaining books through an online platform. While he usually operates the store alone, his daughter, Laura Cohen, is helping him by repairing books that are in too fragile a state to sell. She said her father had been a bookstore owner for as long as she can remember. Many of the books still in the store date back to the 17th and 18th centuries, and need to be maintained to prevent irreparable damage, she said. She took a small, leather bound novel from a pile of fixed books and noted the quality of the pages and the appeal that comes with the sensation of handling an old book. Laura Cohen said she has a very close relationship with the store. She said although it might not have the quantity and variety of a Barnes & Noble or other big chains, every visit is an adventure. Howard’s Books is a destination for bookworms to find a hidden treasure they didn’t know they wanted, she said.